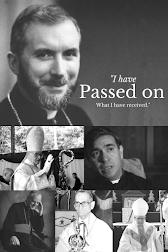 Traditional Catholic Musings: The Marriage arguments continue.. I have been a Remnant newspaper reader for around twenty years now. I remember well how the tone of the paper began to change after the scandal of the Fraternity of Saint Peter and Protocol 1411/99. A paper which only gently sympathised with the SSPX began to display an ardent support, in-spite of its ecumenism towards Ecclesia Dei groups. However, who would ever have imagined a time would come when the Remnant, without changing its stance, would find itself more hard-line than the SSPX itself? The Canadian marriage episode has now heightened since the groom was allowed to put forth his personal view on the official SSPX Canada website. I like to avoid personal attacks, and therefore point people to his own words and let readers themselves judge if these are the words of someone who should be defending the position of the SSPX. 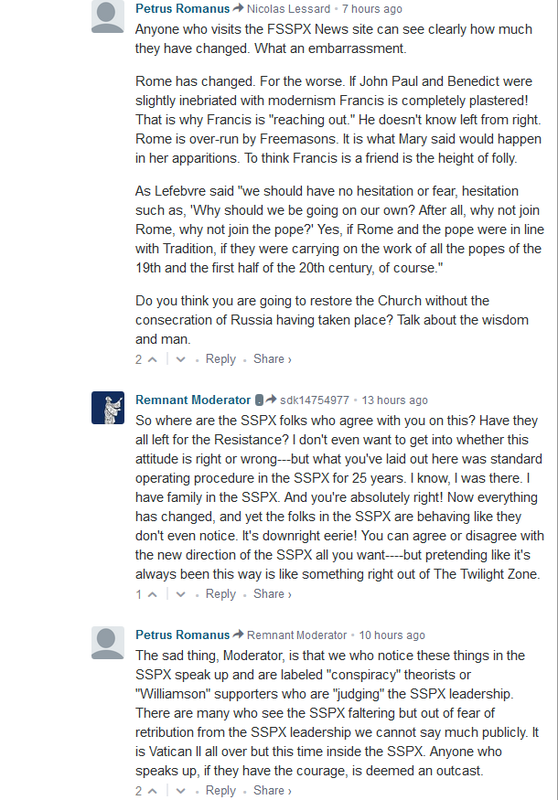 The comments on the Remnant website are extremely interesting as it shows that some people still attending the SSPX are aware of the changes and are not happy. However the longer things carry on the more 'new-style SSPX attendees' (for want of a better word!) will gain positions of authority and influence within the laity.